Some years ago, Stanley Kubrick ordered an assistant to gather up and incinerate all the outtakes and unused footage from his 1971 film A Clockwork Orange, thereby denying future cineastes any hope of seeing an alternate or extended cut of the movie. 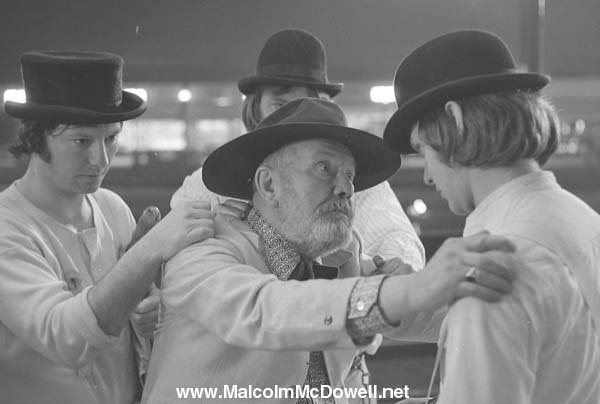 There are, however, stills from some of the deleted scenes, and you’ll find a bunch of them at this very thorough tribute site dedicated to the star, Malcolm McDowell. The stills, with corresponding passages from the Anthony Burgess novel, include shots from the gang’s attack on a man coming home from the library (above), the “sammy act” with the old ladies at a bar, and scenes of the droogs preparing to steal a car. What Samuel Johnson can teach us about writing. Apropos of which, today’s word is devotionalist. It’s the new taste sensation that’s going to harden the arteries of the nation! Really, your cholesterol is going to shoot through the roof just reading about this thing. This bookseller in Kabul doesn’t much like The Bookseller of Kabul. Troy Paiva was photographing Vermillion Sands before he even knew about the place. Now that he does, he can understand why people kept making the comparison. In the mid-1970s, Led Zeppelin guitarist Jimmy Page agreed to compose soundtrack music for Lucifer Rising, at that time the latest film from Kenneth Anger, who shared Page’s interest in Aleister Crowley and matters of the occult. Anger ended up firing Page and hiring a former Charles Manson crony to compose the music, but now you can listen to Page’s work here. Should you download? As Crowley himself would say, do what thou wilt. 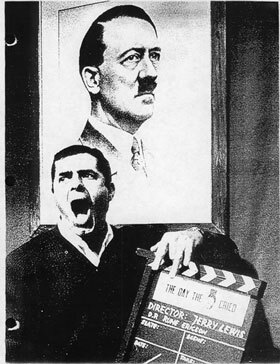 And, if you live in the New York area, you can catch this retrospective of Anger’s films at P.S. 1. 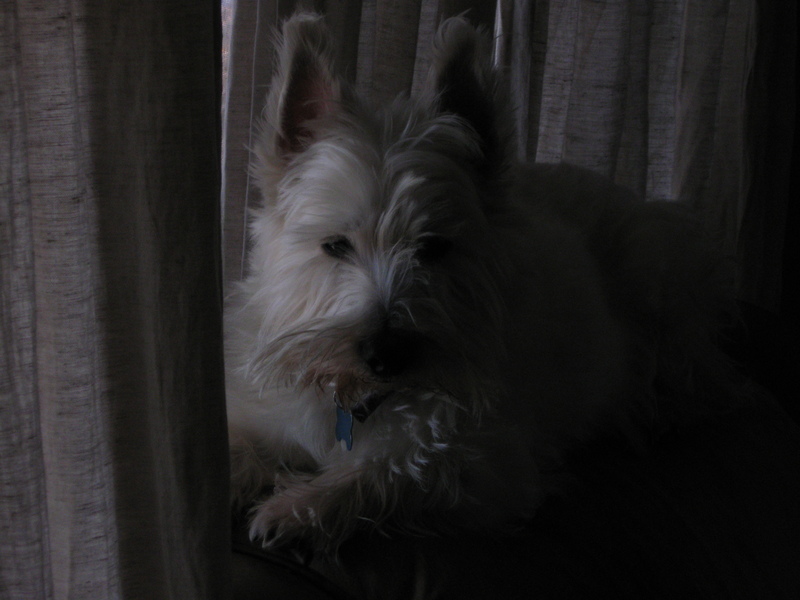 Hello, I’m H&R Blog with another of my 77 reasons why freelance writers need to be blogging. Reason No. 22: What’s true for this guy will also be true for you. Whatever you post on your blog stays there, archived, for as long as you want it to stay there, or until human civilization is wiped out by a nuclear holocaust and the planet comes to be dominated by a race of intelligent simians, in which case nobody will care why you thought Rob Roy was the greatest swordfight movie ever made. That’s why it’s so hilarious to hear newspaper types dismiss blogging as something without staying power, as compared with writing a column for your local paper. Unless you write for a really big paper, or a high-profile magazine, you’ll get paid peanuts, you’ll never be entirely sure who is or how many are reading you, and after a few days your writing will be tucked away behind one of the firewalls newspapers go in for, with a lame search engine that ensures anyone who wants to track down your column a few years from now will only be able to find it by accident, if at all. The hard copy, meanwhile, will head for the nearest recycling transfer station or landfill. Having a well-tended blog is waaay better than writing a column for your local newspaper. Again, unless you write for a big well-paying venue, you might as well have your writing out there on the Internet, clearly accessible, showing everybody how witty/insightful/stylish you are and contributing to your reputation instead of building the circulation for somebody else’s newspaper, which is probably going to go out of business soon anyway. And then what will happen to your work? Once somebody wants to write it’s almost impossible to stop them without also killing them to some significant degree. Nothing beats that raging delight at three in the morning when sentence number 15 finally agrees to do what you want, and never has banging wiggly marks on to a computer screen seemed so heroic – even if you’re simply ensuring that the orthopaedic surgeon ravishing your senior nurse in the sluice room doesn’t seem implausibly limber and can meanwhile reawaken echoes of that summer afternoon with her funny uncle … And if you think you might actually be doing some good, amusing someone other than yourself – making them less lonely, more alive, more informed – well, you’re just not going to chuck that over in favour of crafting, long walks and a quiet life. 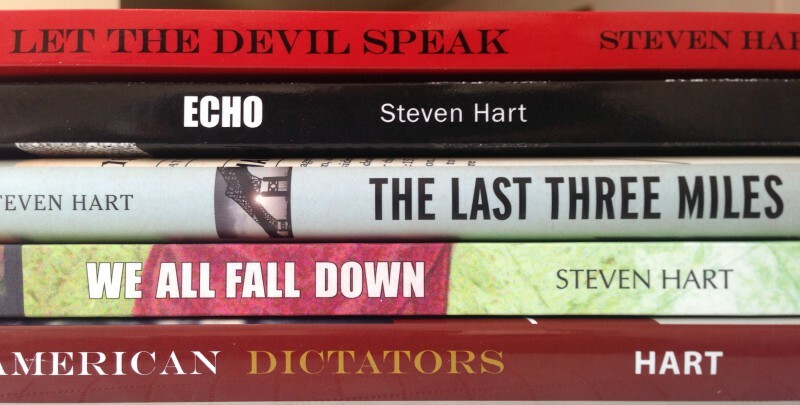 Hence the number of regimes and leaders who have discovered that killing writers until they are entirely dead is a highly effective method of slowing literary output. After too many years of dicking around and getting my literary kicks from newspapering, I embarked on a disciplined writing regimen in the early 1990s. I kept at it because, after about eight months of steady one- and two-page a day effort, I had produced a finished novel. It hasn’t been published and may be unpublishable — most first novels are, in fact, unpublishable — but I loved the emotional rollercoaster experience I had in writing it, the sense that I was plumbing wellsprings of creativity and inventiveness that had never been put to use, only sensed in a vague way. I sincerely believe that being involved in a long-term creative endeavor — and, above all, completing it — carries personal benefits that go beyond the issue of whether the work is ever published. As I once heard Lawrence Block say, your odds of getting a novel published are about the same as your odds of getting picked for a professional sports team, but that doesn’t mean all those hours spent playing sandlot baseball were wasted. There’s a half-good movie from the 1980s, Reuben Reuben, that comes to mind whenever my obsessive writing habits come up in discussion. The movie is about a fading Dylan Thomas-type poet who’s hasn’t written a line in years, and scrapes out a living by doing readings for suburban literary clubs, cadging meals from well-off patrons and, whenever possible, seducing their wives. After one too many reversals, he decides to string himself up in his rented room. Dictating his suicide note into a tape recorder, he comes up with some good lines, tells his estranged wife to write them down and make some posthumous money, then realizes what he really wants to do is go on writing poetry. I’ve had some hellacious bad luck in the writing business, but even when things were at their worst, some other idea would occur to me and I’d be off chasing it. At this late date, I don’t think I could stop — my brain is simply hard-wired to come up with ideas for writing projects. Stopping that would be a sort of little death, and maybe not all that little, either. The book in question, Brad Gooch’s Flannery: A Life of Flannery O’Connor, is going on my birthday book list, even though the consensus among reviewers is that Gooch spends too much time linking events in O’Connor’s life with particular stories and novels. I’ve been waiting for somebody to improve on Jean Cash’s ho-hum biography, and it sounds like Gooch has at the very least done that. Whether he’s managed to do much more will be decided later on. 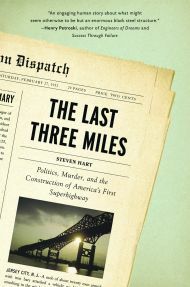 Bathsheba Monk (one of my Approved Authors for 2008) says some very nice things on about my book The Last Three Miles: Politics, Murder, and the Construction of America’s First Superhighway on her blog. That’s a treat for a Monday morning. The book is also the subject of an impending article in the recently launched Jersey City Independent, and I’ll post a link as soon as it appears.